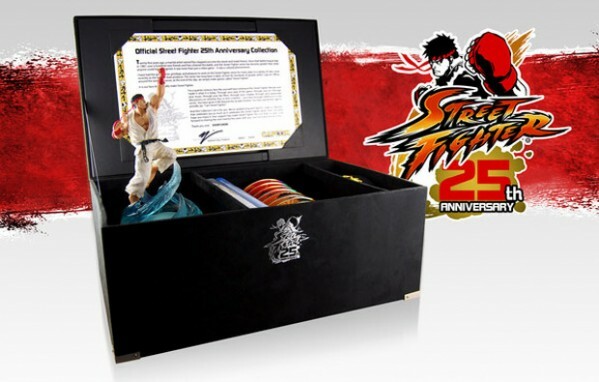 August marks 25 years since the debut of Street Fighter, and to celebrate Capcom will be selling a special 25th Anniversary Collector’s Set. 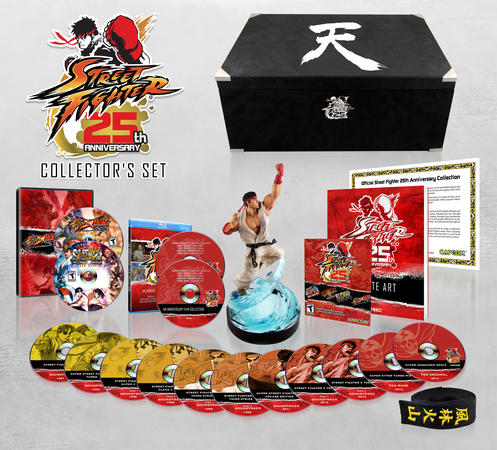 Priced at $US150, the set contains Street Fighter X Tekken (with all character and swap costume DLC), Super Street Fighter IV: Arcade Edition (with all costume DLC), Super Street Fighter II Turbo HD Remix, Street Fighter III: 3rd Strike Online, a documentary on the history of the series and its fans, both Street Fighter IV anime movies, the US Street Fighter animated series, Street Fighter II: The Animated Movie, a light up Ryu statue, an 11 CD soundtrack featuring official and fan made music from the series’ history, a replica of Ryu’s martial arts belt and a certificate of authenticity. It’s one hell of an impressive set, but it is only for sale through the Capcom Store at this stage, and I believe they don’t ship software outside the US, so you might need a friend or a forwarding service to help out.